Experience the cultural heartbeat of Montreal when you stay at Hotel 10. Tourists and local Montreal residents can both agree that Quartier des Spectacles is the destination for all things trending in the city. Stemming from the central intersection of Saint-Laurent and Sainte-Catherine, surrounded by City Councilors, Sherbrooke, and St Urbain Streets and Rene Levesque Boulevard, Quartier Des Spectacles packs so much in little more than half of a square mile. The entertainment, enlightenment, and excitement never end at Quartier des Spectacles. From experimental theater and popular rock-and-roll to outdoor video projections spanning the entirety of a tall city building, you can find unique and exciting culture here. When you stay at Hotel 10, you can take advantage of our knowledgeable and friendly local staff to discover the inside scoop on all of the coolest places to visit. 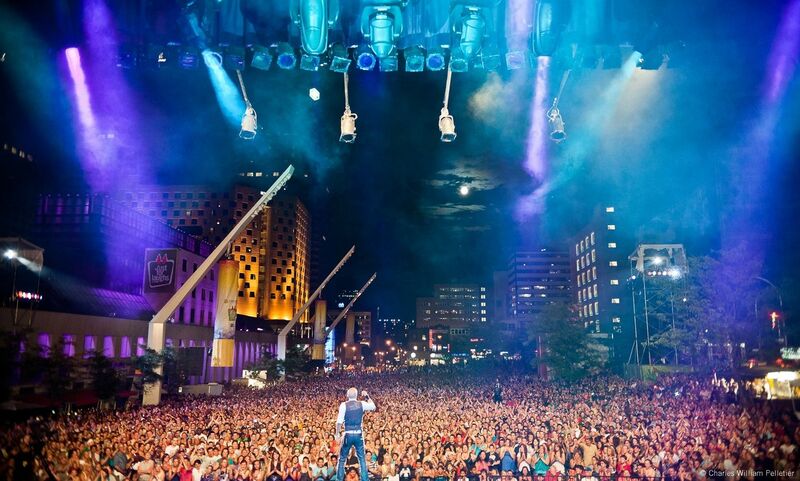 Bright and alive with annual events and festivals, Quartier des Spectacles has more than 80 cultural venues complete with 30 performance halls offering 28,000 seats each. We know all the best seats in the house because we are the best hotel in town.